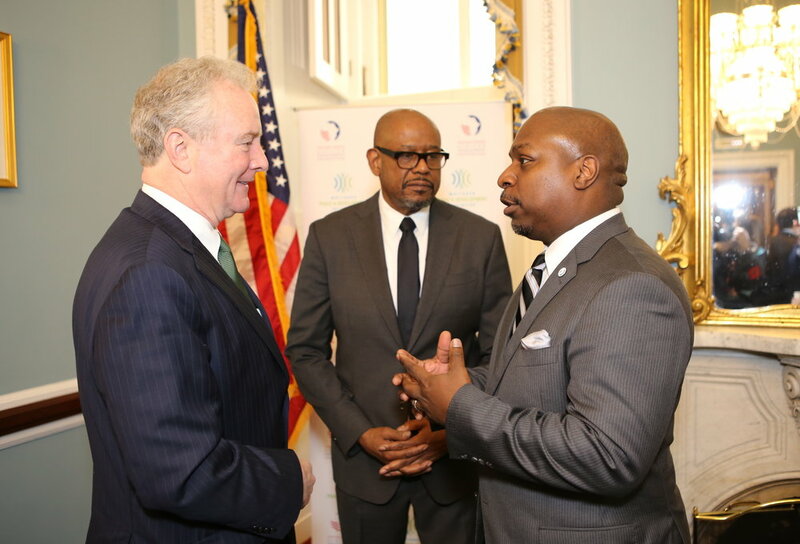 Senator Chris Van Hollen (left) was one of several members of Congress who joined WPDI Founder/CEO Forest Whitaker and USADF President/CEO C.D. Glin for the partnership announcement. Washington, D.C. – April 4, 2019 – The United States African Development Foundation (USADF) and the Whitaker Peace & Development Initiative (WPDI) announced a new partnership for an innovative program to aid post-conflict communities in South Sudan and Uganda. C.D. Glin, USADF President and CEO, and Forest Whitaker, WPDI Founder and CEO and Academy Award-winning actor, made the announcement today during a special event on Capitol Hill, hosted by Congresswoman Barbara Lee. Learn more at www.wpdi.org. Communications contact: Joseph Good, joseph@wpdi.org, 213-625-0410.